4-nos Hard Chrome Pillars Type Presses are designed to provide maximum flexibility for different blanking, broaching and other applications. The change in the speed can be preset to take place at any point of the stroke with the help of limit switches / proximity switches / liner encoders / potentiometer. Maximum frame rigidity is achieved through computer aided frame design and finite element analysis. 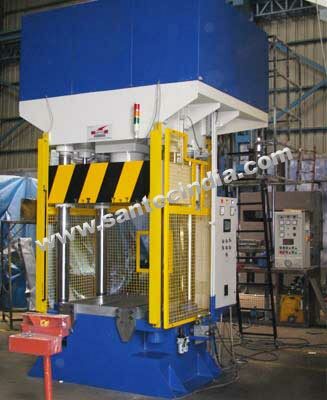 These presses can be custom designed to suit specific requirements of the customers.